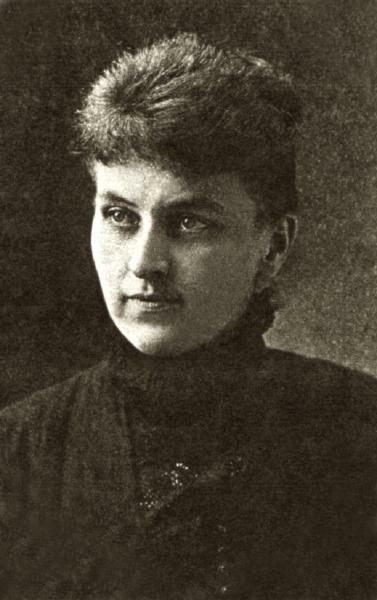 Elisabetha A. Weiler was born on 16 October 1865 in Illinois. Balthasar Weiler and Margaretha Sippel, appeared in the US federal census of 1 June 1870 in Suspension Bridge, Niagara County, New York. Other members of the household included Elisabetha A. Weiler, Matthias Balthasar Weiler, Christian Weiler and Heinrich Valentin Weiler. Lucy Weiler (age 15) has not yet been found in the 1870 census, likely with another family as live-in household help. Balthasar Weiler and Margaretha Sippel appeared in the New York state census of 1 June 1875 in Niagara, Niagara County, New York. Other members of the household included Elisabetha A. Weiler, Ursula Weiler, Christian Weiler, Matthias Balthasar Weiler, Heinrich Valentin Weiler and Johann Georg Weiler. Balthasar Weiler and Margaretha Sippel appeared in the US federal census of 1 June 1880 in Suspension Bridge, New York. Other members of the household included Elisabetha A. Weiler, Heinrich Valentin Weiler, Johann Georg Weiler, Emma Margaretha Weiler and Christian Weiler. Elisabetha A. Weiler appeared in the 1886~87 Suspension Bridge, New York, City Directory at Ontario Avenue and West Avenue as a dressmaker..
She married Daniel V. Hurley, son of Michael Hurley and Catherine Sullivan, on 7 July 1886 in Niagara Falls, Niagara County, New York, at Sacred Heart. Daniel V. Hurley and Elisabetha A. Weiler appeared in the New York state census of 16 February 1892 in Niagara, New York. Daniel V. Hurley and Elisabetha A. Weiler appeared in the US federal census of 1 June 1900 in Niagara Falls, Niagara County, New York, at 958 Ontario Avenue. Other members of the household included Florence Marie Hurley, Emma Margaret Hurley, Francis Joseph Hurley and Clara E. Weiler. The following appeared on 25 April 1904 in the Niagara Falls Gazette: Daniel V. Hurley and family have returned to Niagara Falls after an absence of two years and have taken up their residence on Ontario Avenue. They will reside here permanently and will occupy the George J. Weiler home. Mr. Hurley and family left Niagara Falls in April 1902 and went to Denver, Col. they went west for the benefit of Mr. Hurley's health and intended to locate in Denver, but the altitude was found too high and the climate too dry and they proceeded further west to Phoenix, Arizona. While in Phoenix Mr. Hurley was not engaged in any particular line of business. The two years of the beautiful climate of Arizona has greatly improved him and he returns to his native town sound and robust. Mr. Hurley and family arrived early this morning over the Michigan Central Railroad. Mr. Hurley has a large following of friends in the city who will welcome his return and will be pleased to hear of his improved helath. If the ex-police commissioner and politician has arranged his future plans in Niagara Falls he has made no announcement of them. It is known, though, that he will not return to the harness-making and supply business in which he was engaged before disposing of it to George L. Daul previous to his going out west. Daniel V. Hurley and Elisabetha A. Weiler appeared in the New York state census of 1 June 1905 in Niagara Falls, Niagara County, New York, at 1009 Ontario Avenue. Other members of the household included Florence Marie Hurley, Emma Margaret Hurley, Francis Joseph Hurley and Catharine E. Hurley. Daniel V. Hurley and Elisabetha A. Weiler appeared in the US federal census of 15 April 1910 in Niagara Falls, Niagara County, New York, at 2019 Tenth Street. Other members of the household included Florence Marie Hurley, Emma Margaret Hurley, Francis Joseph Hurley and Catharine E. Hurley. The following appeared on 9 September 1913 in The Niagara Falls Gazette: Florence Marie Hurley, nineteen year old daughter of Mr. and Mrs. D. V. Hurley of No. 2019 Tenth street, succumbed to tuberculosis at her parent's home last evening. The young woman had been a sufferer for some time. Besides her parents, Miss Hurley is survived by a brother, Francis, and two sisters, Emma and Catherine. Funeral from Sacred Heart church Thursday morning. Burial to be in Riverdale. Daniel V. Hurley and Elisabetha A. Weiler appeared in the US federal census of 1 January 1920 in Niagara Falls, New York, at 2019 Tenth Street. Other members of the household included Emma Margaret Hurley and Catharine E. Hurley. The following appeared on 28 November 1922 in The Niagara Falls Gazette: [Died] In this city at his home, 816 Niagara avenue, Monday, Nov. 27, 1922, Francis J. Hurley, aged 25 years, beloved son of Mr. and Mrs. Daniel V. Hurley, brother of Emma and Katherine. Funeral Thursday morning from the home at 8:30 and from Sacred Heart church at 9:00 o'clock. Interment Riverdale cemetery. Daniel V. Hurley and Elisabetha A. Weiler appeared in the New York state census of 1 June 1925 in Niagara Falls, Niagara County, New York, at 1001 Ontario Avenue. Other members of the household included Joseph Augustine Kenific, Emma Margaret Hurley and Catharine E. Hurley. Elisabetha A. Weiler became a widow at the 15 January 1926 death of her husband Daniel V. Hurley. Elisabetha A. Weiler appeared in the US federal census of 1 April 1930 in Niagara Falls, New York, at 1001 Ontario Avenue. Other members of the household included Joseph Augustine Kenific, Emma Margaret Hurley and Jean Marie Kenific. Joseph Augustine Kenific and Emma Margaret Hurley appeared in the US federal census of 1 April 1940 in Niagara Falls, Niagara County, New York, at 2408 South Avenue. Other members of the household included Elisabetha A. Weiler, Jean Marie Kenific. Elisabetha A. Weiler died on 27 September 1953 at age 87. She was interred at Gate of Heaven Cemetery, Lewiston, Niagara County, New York.